Looking for an accounting software package for your small to medium sized business? Browse our extensive catalog of Accounting Software products, from software firms around the world specializing in meeting the needs of SMEs/ SMBs. If you are a developer of Accounting Software , please list your software / company on our site for FREE. If you are interested in additional marketing and promotional opportunities for your software products, write to us. Description: Simple Easy To Use Contractor and Small Business Accounting Software. 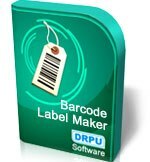 Description: Barcode labeling software easily creates labels, asset tags, ribbons that reduce the time taken in manual data entry process. Accounts Payable Software: SYSPRO is a leading supplier of fully integrated ERP software focused specifically on distributors and manufacturers. Built on Microsoft .NET technology, SYSPRO enterprise software meets the requirements of the extended enterprise. Interprise Solutions platform-driven .Net business solution provides businesses with a comprehensive view of their customers through ERP, CRM, accounting, point of sale, and e-commerce in a single, fully integrated application. Advanced Financial Management Software: Slingshot lets you take control of your online enterprise systems. Our tools help you extend your applications, diminish/remove vendor dependency, minimize development time, maximize ROI, future proof your business and reduce up front plus ongoing costs.